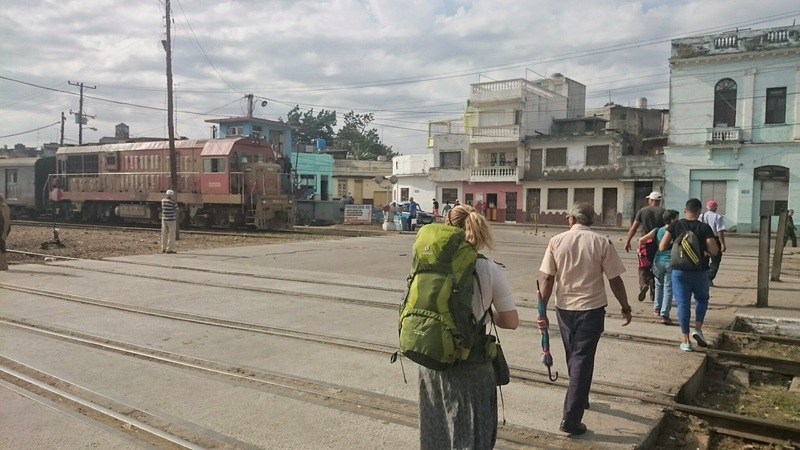 To take the train in Cuba takes a certain kind of perseverance and a bit of luck, but it is an experience that is hard to forget. 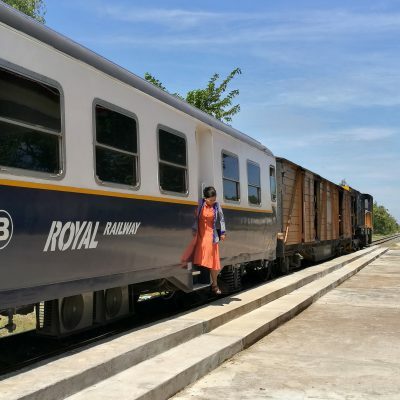 As a tourist in Cuba, you’re expected to take special tourist-only buses or private car service, but if you want to see a bit of Cuba not often seen by tourists, the train is worth the effort. 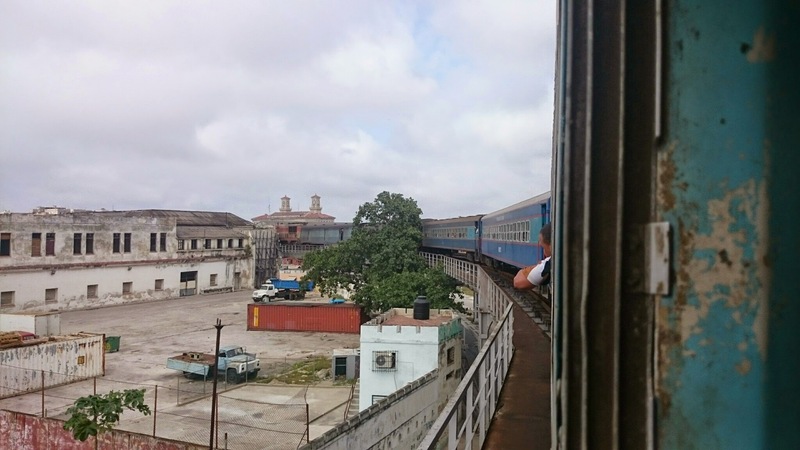 Cuba’s railroad is the state-run Ferrocarriles de Cuba. They currently don’t have a website and tour companies cannot book tickets. You really only have one option for tickets and schedules, and that’s to show up at a train station and inquire about services. The main line runs the length of the island from Havana to Santiago stopping at most of the major cities in between. Santa Clara Train Station February 2015 – ticket office in the corner of the pale green building to the right. This view is from the waiting area on the other side of the tracks. 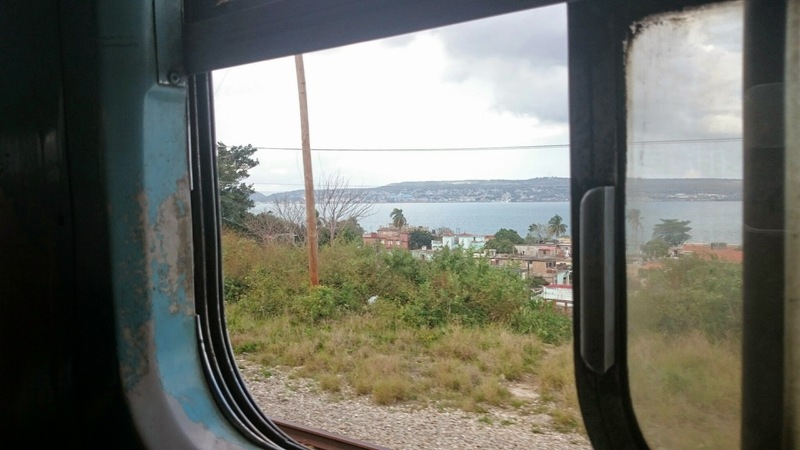 For our trip to Cuba, we were hoping to take the train from Santa Clara to Havana. The route only runs a few days each week (at most) and it can be difficult to know what day. 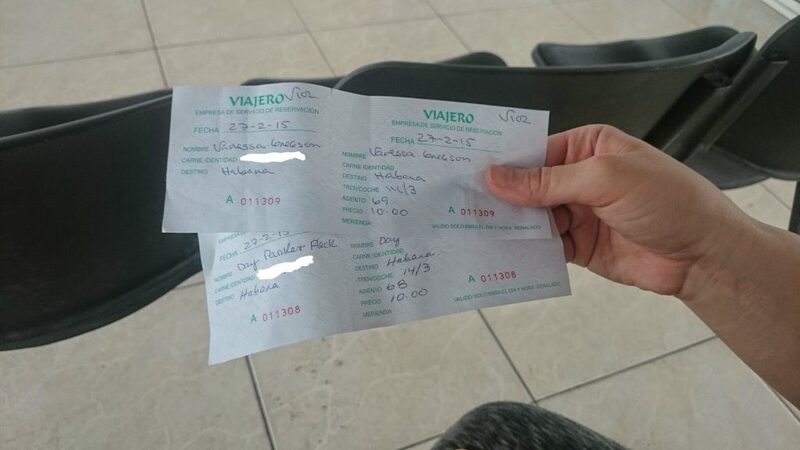 As soon as we arrived in Santa Clara (by tourist bus), we haggled with a driver to take us to the train station. One thing you’re sure to encounter if you tell other Cubans that you plan to take the train is their immediate, visceral reaction. We heard everything from “you’re going to die” to “it’ll be the worst experience of your life.” Suspiciously, almost all the naysayers also had a cousin who could also drive us instead for a nominal fee. Don’t listen to them. 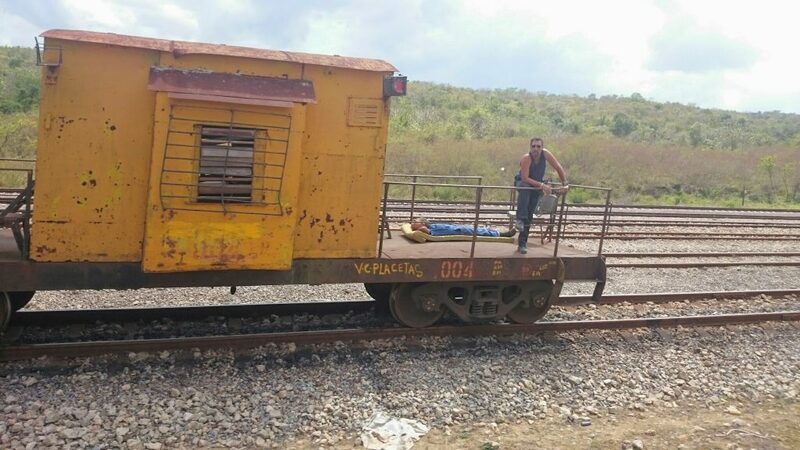 While Cuban trains are not the most luxurious, cleanest vehicles, they are unique as the only passenger rail system regularly operating in the Caribbean, and one of the few still operating in Latin America. 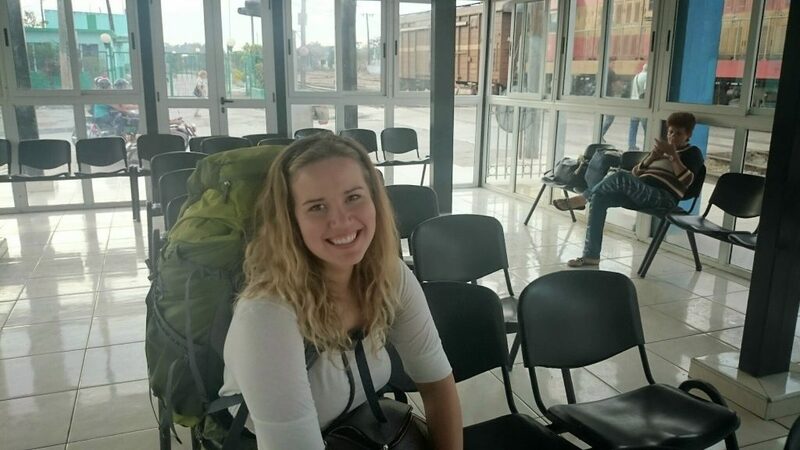 We arrived at the Santa Clara train station to luckily find a train bound for Havana was coming the next morning at 8am. They couldn’t sell us a ticket and asked that we come back one hour prior to the train’s scheduled departure, when they would know how many seats they had to sell. 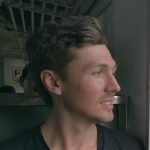 Luckily the train station in Santa Clara is pretty centrally located so it wasn’t the most inconvenient of circumstances and we were just happy to have the opportunity to take the train instead of another tourist bus. The next morning bright and early we headed to the train station and purchased tickets. 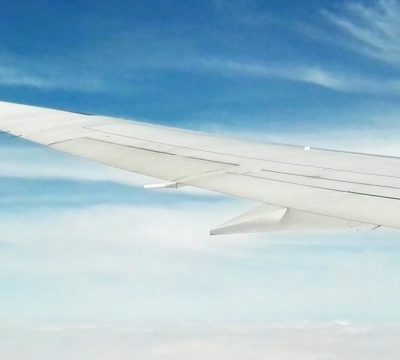 You have to pay special tourists fares, but they are extremely cheap when compared with just about any other form of transportation. We were informed there was a delay, but they weren’t sure how long it would be. There is a temporary waiting area across the tracks from the historic train station and oddly we were some of the only people waiting. 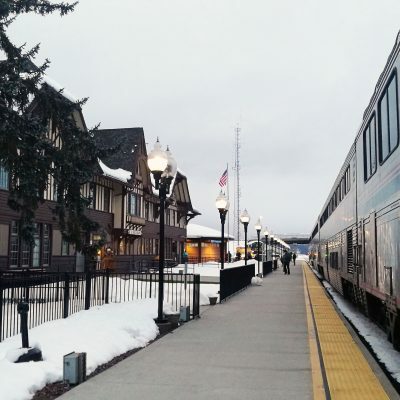 Roughly 20 minutes after the scheduled departure time, our train came rolling into the station – not too tardy after all. Arrival of our train! 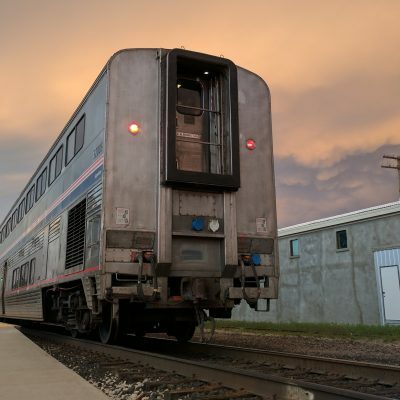 Since the waiting area is on the far side of the tracks, you have to wait for the entire train to cross the street before you can cross behind it. The activity level at the sleepy station went crazy. The station platform came to life. 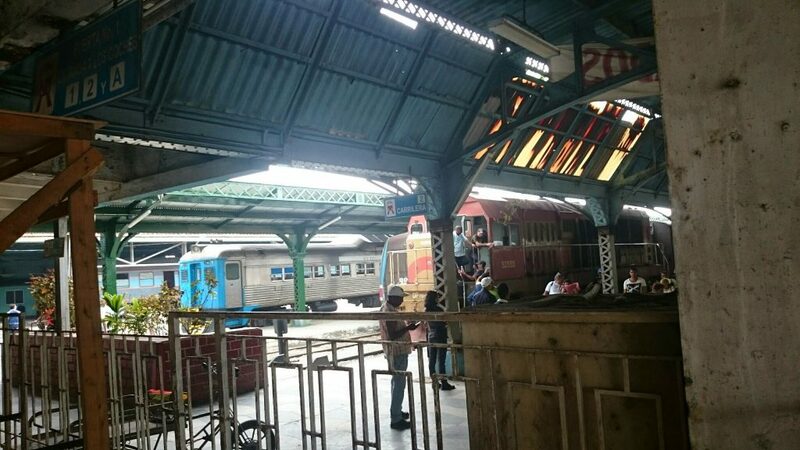 Many passengers came out of nowhere, families came to greet their loved ones, and vendors walked the train window-to-window selling homemade food, juices, and coffee. Most of the train was made up of second hand Mexican railway coaches sold to Cuba when Mexico shut down their passenger rail system. The cars were in various levels of condition, some seemingly recently refurbished, while others seemed to be on their last leg. We pushed our way through the crowd to find our assigned seats. The train was pretty much sold out and unfortunately for us, our car was in the worst condition of the bunch. No air conditioning and the seats were worn, however I have to say they were not terribly uncomfortable. Shortly after boarding, we were off to Havana. The journey was timed to take about 5 hours, but it’s my understanding that it is common to hit a few snags along the way. Our trip ended up taking about 6.5 hours. The other people on the train were mostly friendly and curious about us. 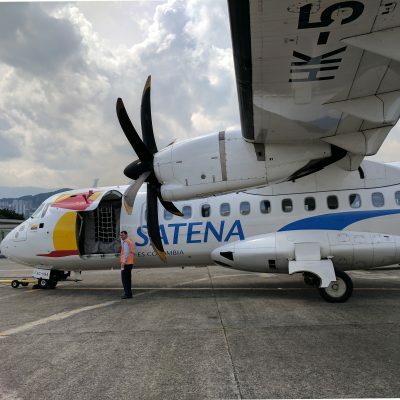 If you try to speak a little Spanish, before you know it many of the passengers will join in the conversation. It’s a bit awkward if your Spanish isn’t great, but I have to say the warmth of the Cuban people is so nice that you shouldn’t be shy. The ride was mostly smooth with only jolts when starting or stopping. Vendors hop on the train and sell things from car to car. One even had a full shopping cart of snacks he wheeled down the aisle. At each stop, vendors go window to window hoping to make a sale. While it might be tempting, I’d stick to cooked goods as the homemade juices may make for a less pleasant journey. Throughout the journey unofficial vendors come through with things to eat and drink. It gets hot in the train cars so bring a good amount of bottled water to stay hydrated. You do get used to it though, and we were lucky that a thunderstorm came in for the last hour of our journey cooling the air significantly. Our cars had windows that allowed us to stick our heads out of that window for occasional relief as well. The bathroom in our car got full (luckily just urine) about halfway through the journey and caused quite the smell, but it wasn’t bad when moving. The Cubans in our car were honestly more bothered by it than we were. 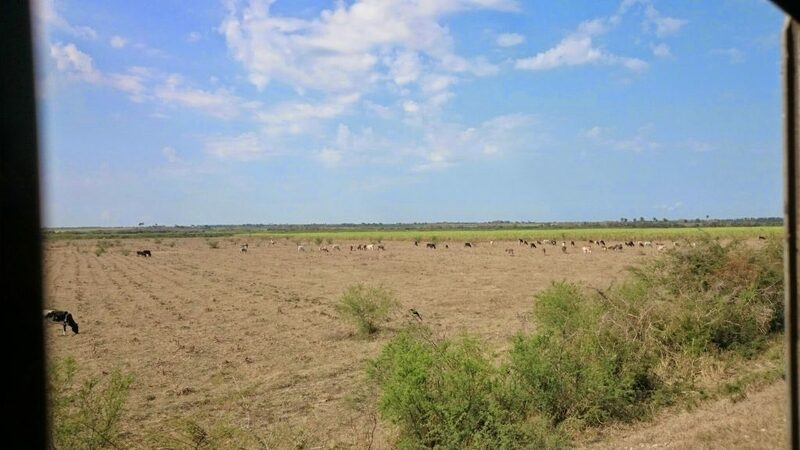 We continued to enjoy the views of different Cuban cities and regions like the birthplace of Rumba, Matanzas. 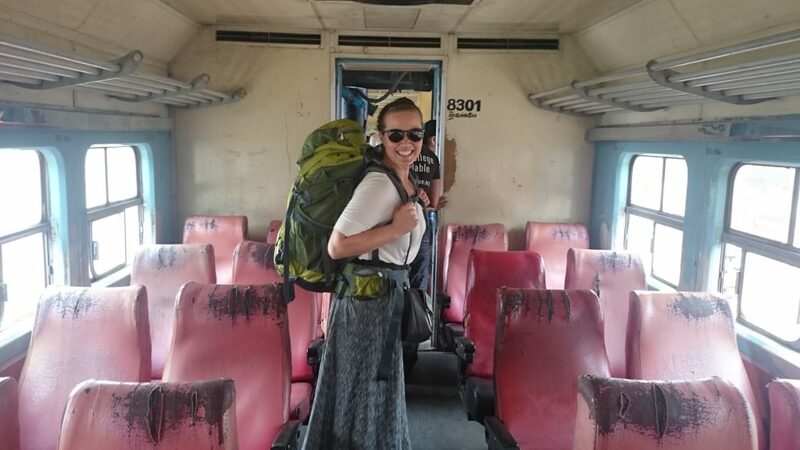 Finishing our journey at Havana Central Station, you’ll be snapped back into the hussle and liveliness of being in Havana right away. It’s a bit of a shock after hanging out on the train. 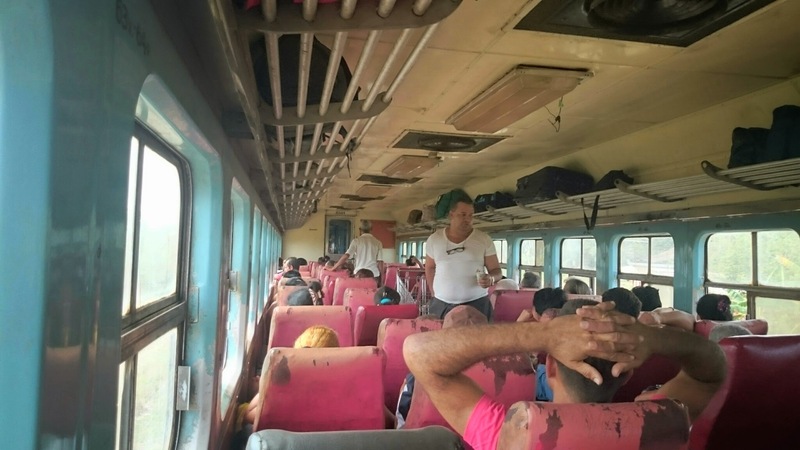 Although there are good and bad things about using the train as a form of transportation in Cuba, I have to say it’s really a cool and communal experience. 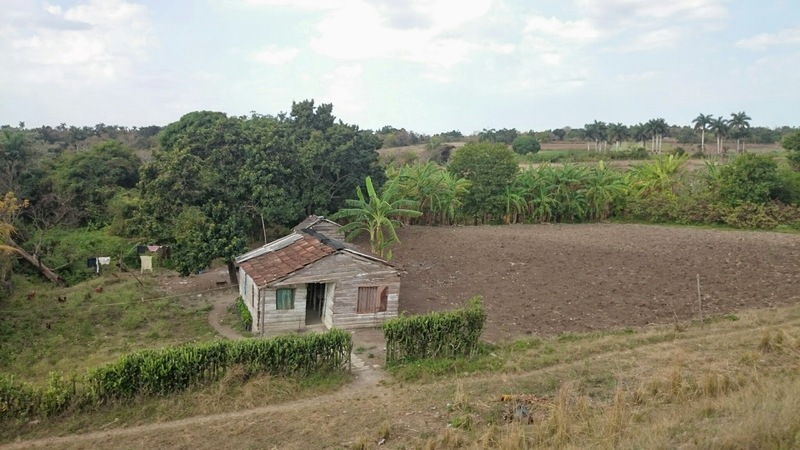 It’s also an experience that can be difficult to have as a foreigner in Cuba where you are so often kept separate from the locals, especially if you follow the tour guides and package deals. Be sure to take the time to see real Cuba if you can, I can’t recommend it enough. The elevated tracks into Havana Central Station, in view just above the engine. Taking a break during the heat of the day. Leaving our train at Havana Central with 1950s powered train cars in the background.